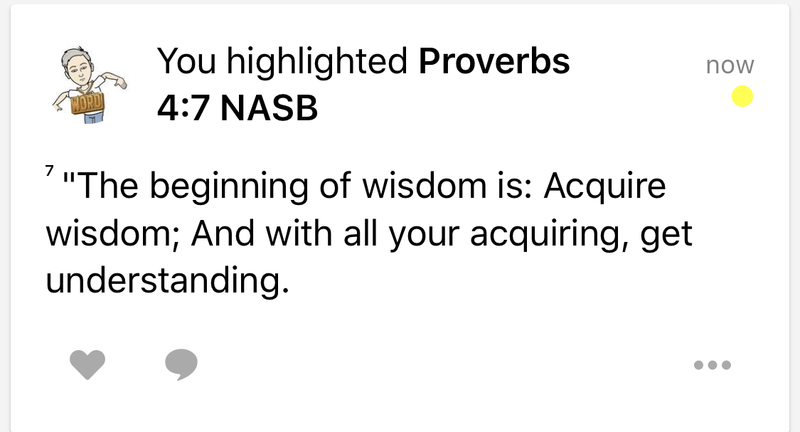 Here’s what he wrote: “The beginning of wisdom is: Acquire wisdom; and with all your acquiring, get understanding” (v. 7). Throughout the Proverbs, Solomon personifies wisdom as Lady Wisdom. She is constantly calling out to people, “I have what you need. 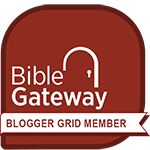 Come and get it.” James tells us the same thing, “If you need wisdom, ask God for it” (see James 1:5). How do you get wisdom? You go to Wisdom and get what she has to offer! I’m always intrigued by oxymorons. You probably know what these are—when two seemingly opposite things are put together to make something memorable. Like a fine mess, or deafening silence, or seriously funny. Or defiant joy. Usually “joy” is paired with descriptives like pleasurable, or bubbly, or uncontainable. But “defiant”? 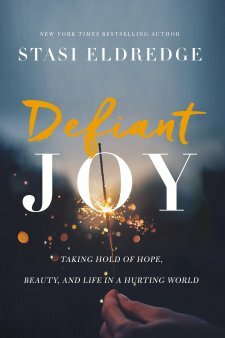 Stasi Eldredge makes the case that we need to fight to hang on to joy—that our pursuit of joy against all odds should be, as her book is entitled, Defiant Joy. Stasi shares many of her painful life lessons that led her to the conclusion that joy has to be clung to tenaciously or it can be stripped away quickly. Defiantly clinging to joy doesn’t mean a bury-your-head-in-the-sand denial view of life. It is facing the challenges squarely and honestly, and still recognizing that the joy Jesus gives is greater than those circumstances. In fact, one of the first quotes Stasi shares in her book is this truism from C.S. Lewis: “Joy is the serious business of Heaven.” Talk about a powerful oxymoron! I so appreciate the transparency and candor Stasi exhibits as she pulls back the curtains of her own battles for joy. She honestly shares her darker moments with us, tells us where she’s still working, where’s she had breakthroughs, and the applicable lessons we can all use. I’m sure everyone one of us will have to face joy-threatening circumstances. The principles in Defiant Joy will help you overcome those circumstances while still tenaciously clinging to joy. Read this book for yourself or read it with a friend going through a difficult time. You’ll be glad you did. I’m a Thomas Nelson book reviewer.